Our gourmet barbecue sauces have the finest ingredients. 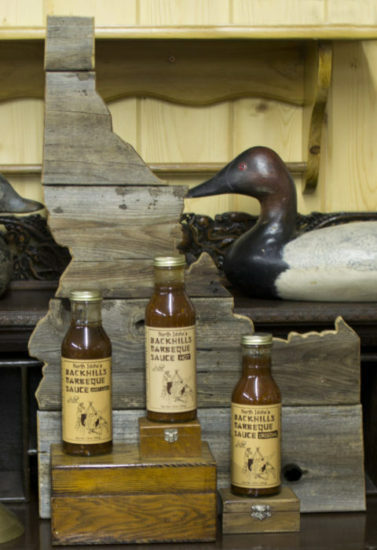 Our all natural gourmet barbecue sauce is made in small batches here in Idaho where we are dedicated to barbecue perfection! Just look at the sauce. You can see that it is made the way all BBQ sauce should be. Whole chunks of garlic, onion, peppers, brown sugar, molasses, special combination of spices, and fresh habanero peppers make the flavor bring the true barbecue taste sensation you've been longing for. Few sauces can lay claim to these facts and still have a barbecue sauce that competes! Our all-natural Backhills Barbecue Sauce CAN. These are all-natural and all-gourmet sauces meaning a better tasting and better product for you. The proof is in the tasting. In most cases, once you try any of these sauces, you are hooked. Sure you can buy cheaper, but you cannot buy better.